Due for release on 13 July is Celebrate Regenerate, a new book packed with pieces from over 250 fan writers (including my good self) from all over the world that have been brought together by editor Lewis Christian. Fan-made and not for profit, the plus-300 page book is filled with reviews and articles covering every televised Doctor Who story. The reviews will be accompanied by a wealth of fan art and a few exclusive interviews with Series 1 director, Joe Ahearne; writer Tom MacRae, and writer Joseph Lidster which will be published alongside some other special features in the book. There is still time to get your name in the book as a 'companion' supporter of the project and you may still want to contribute a review. The deadline for reviews of the final eight episode of Series 7, just transmitted, is 3 June 2013 and the deadline to get your name in the book is 1 July 2013. 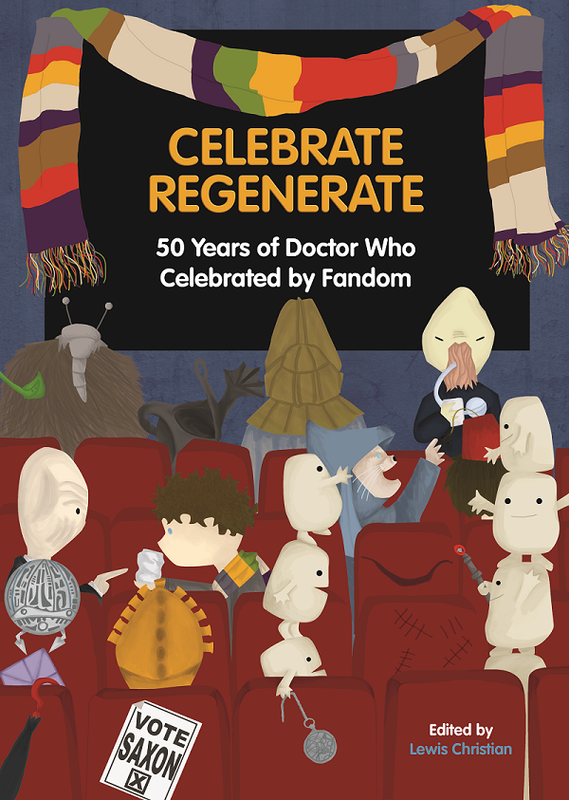 For further information about how to buy a copy of the book and its availability as a PDF download then click on the link to Celebrate Regenerate's FAQ. The cost of a physical copy of the book will be for manufacturing and shipping via Lulu.com only - no artists, writers or contributors are gaining any money from this project - and it is unauthorised and unofficial. The book is ultimately just for fun and it’ll make for a great addition to people’s bookshelves and / or downloads.